SPW049777 SCOTLAND (1936) [Unlocated]. 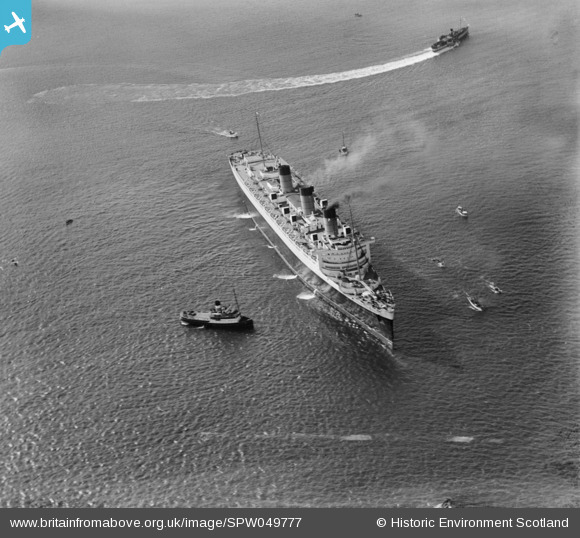 Queen Mary, Firth of Clyde. An oblique aerial photograph. Pennawd [SPW049777] Queen Mary, Firth of Clyde. An oblique aerial photograph. PMV "Talisman" of the L.& N.E.Rly.